Tragic ending to a TRULY beautiful life. On Monday, January 9th, 2017, a Florida police officer was shot and killed by a suspect named Markeith Lloyd. 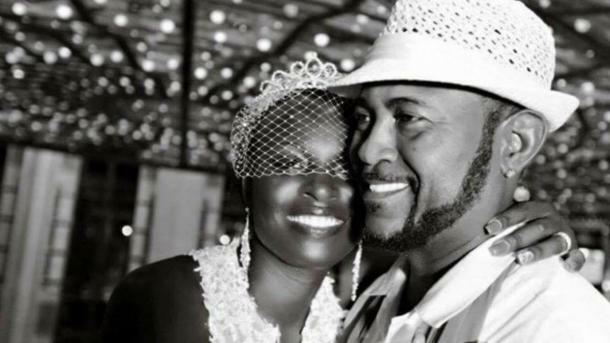 Lloyd is still at large after being accused of murdering his pregnant girlfriend and Clayton. When Markeith Lloyd killed Master Sgt. Debra Clayton, he took away a woman who was integral to her community. Debra Clayton wasn't just your average cop. She was a newlywed who just celebrated her one year anniversary, a mother, and an activist in the community that meant so much to her. It is impossible to capture in words the extent of her kindness, generosity, and belief in community. But I'm going to try anyway. Here are 11 things you need to know about Debra Clayton and what she stood for. 1. She was a team player. Debra Clayton was fondly teased for driving a total wreck of a police cruiser by other folks on the force. It broke down often, but she never complained. It got the job down. In the weeks before the shooting, she was finally upgraded to an SUV. 2. She believed in, and stood up for, the future for children. 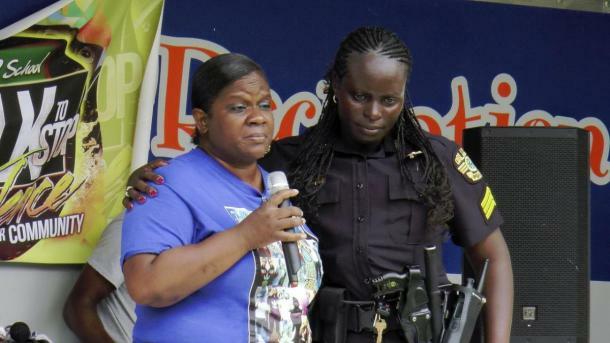 Debra Clayton accompanied 125 kids from Florida to take part in the Million Youth Peace March. The march was held in Washington, D.C. and Debra loved every second of it. She was passionate about peace, and about children. 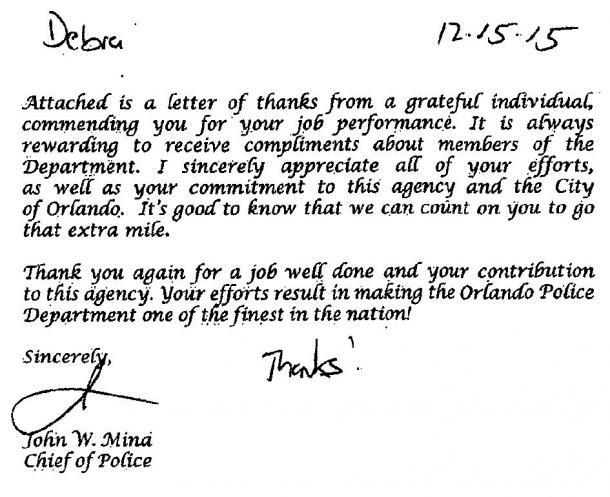 Debra Clayton worked closely with Regina Hill, Orlando City Commissioner. Together they worked on several anti-crime initiatives. And that's not all, Hill says that Clayton was passionate about community outreach, as well. 4. She was an amazing friend. Nobody made Debra Clayton stay at friend's house for two days after that friend had surgery. But Debra did it anyway because she was a good friend. Everyone who knew her agrees. 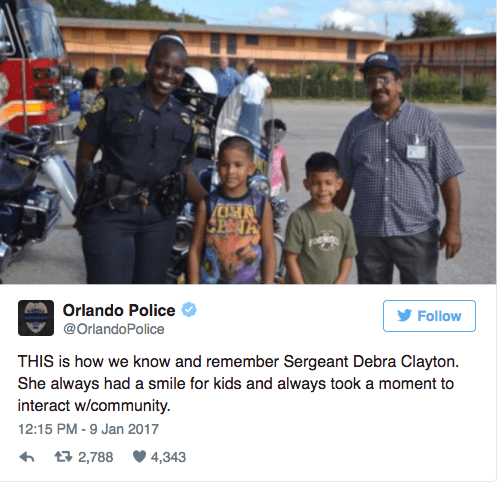 Debra Clayton's commitment to the community didn't stop when her shift was over. Clayton started a non-profit dedicated to supporting women and children who were victims of violence. Debra Clayton served as a police officer for 17 years. When the horrific shooting at The Pulse nightclub happened, she was the first officer on the scene. During her tenure on the police force, the department awarded her more than 38 pages worth of commendations, awards, and accolades. She was just as beloved by the people in her neighborhood, who are already stepping up to help support her grieving family. 8. She believed in community. For the past four years Clayton was instrumental in the "Dragon Boat" project. The project pairs officers with at-risk youth and works together to learn about boat racing and competition. The children she worked with are devastated by her loss. Born and raised in Florida, Debra Clayton loved her home state. From an early age she knew she wanted to be a police officer and protect, defend, and make positive change in the lives of the people of her state. Debra Clayton received her Master's degree in 2002. She studied, appropriately, criminal justice. 11. She made the ultimate sacrifice. When Debra Clayton learned that her murderer Markeith Lloyd was in same store as she was, she took immediate action. She knew that a man suspect of killing his pregnant girlfriend was sharing air with her and that he was most likely armed and dangerous. So she took action, defending the community she worked for her entire life, protecting the lives of the people she served and loved.